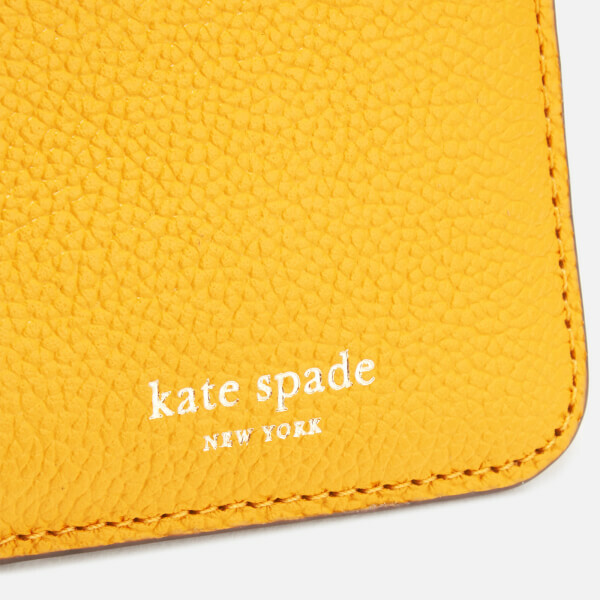 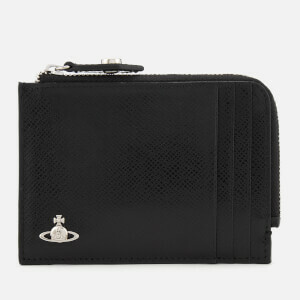 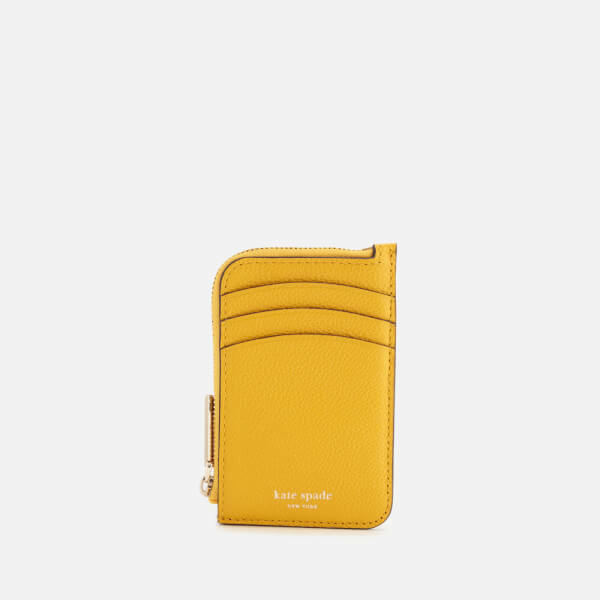 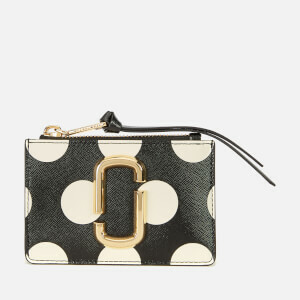 The 'Margaux' card holder by Kate Spade New York is crafted from pebbled leather, embossed with the brand logo. 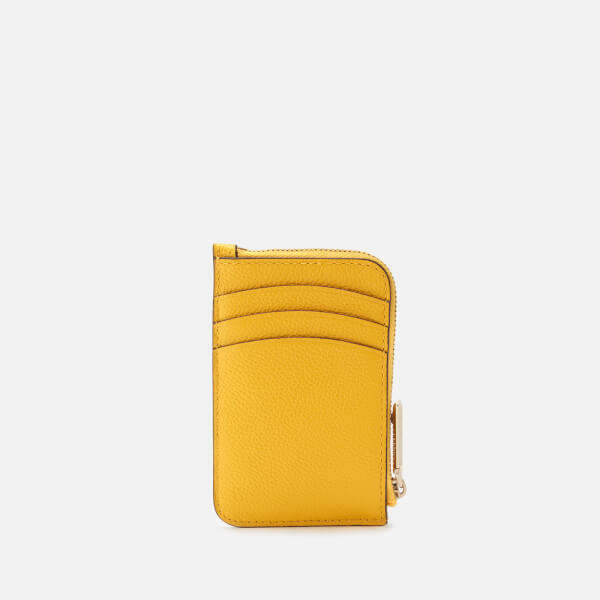 Featuring six exterior card slots with a fully lined printed interior and miniature metal emblem. 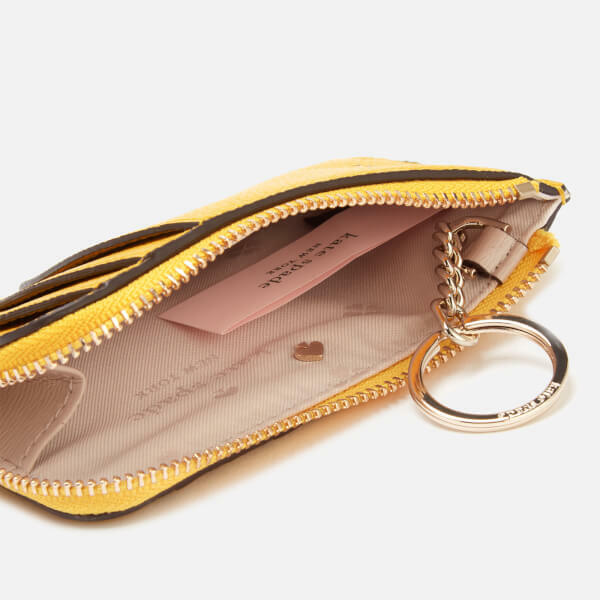 The leather purse comes complete with keyring attachment.